This Post has already been read 291 times. Pakistan’s No.1 Data Network brings widest 4G coverage for its valued subscribers. Having pioneered the 4G in country, Zong 4G is the first telecom company in the country to successfully deploy and cross the prolific 10,000 4G sites mark. 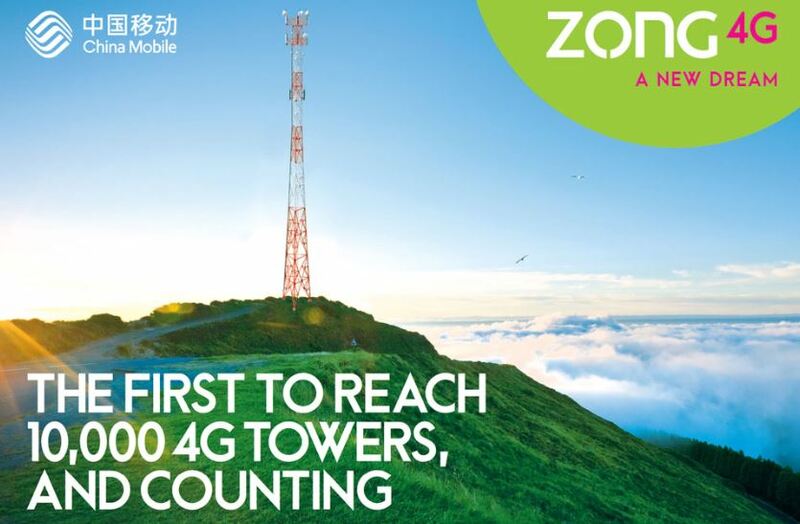 With 4G presence in already more than 300 cities, the company’s current development implies that Zong 4G has not only become the first telecom entity to own over 10,000 operational 4G sites but also the one and only to secure widest 4G coverage at every nook and corner of the country. “For a telecom company, this kind of technological excellence not only enhances the professional quotient but also brings along a host of responsibilities—to shoulder the demands of our ever growing network that offers unmatched connectivity from Peshawar to Gwadar. Being fully cognizant of the situation, Zong is eyeing to add 5,000 additional sites in next three years as we believe that our customers should experience the largest 4G coverage in country- which is unrivaled for in reliability and connectivity. With our customer focused planning and strategic investments, we will always remain geared up to provide nothing less than the best!” continued the telecom company’s spokesperson in a statement.